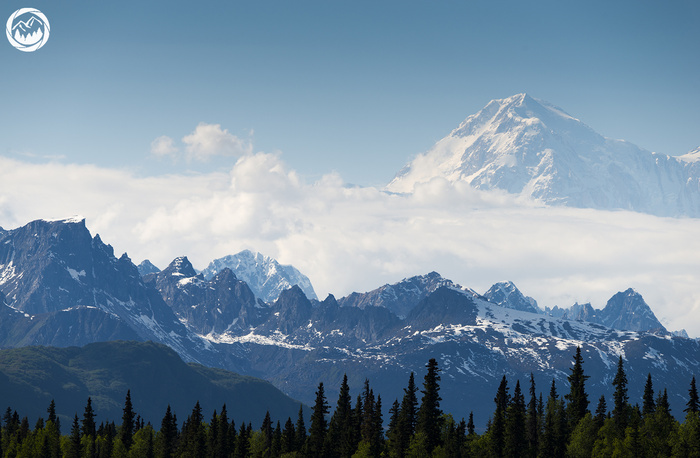 I wanted to photograph Denali (Mt. McKinley) a little differently than the classic wide photographs taken near Wonder Lake. What are your thoughts on this image? What I like of this photo are the cold colours, they give me the feeling of being there and I can imagine how freezing it can be. I like the different levels you created as well: the trees on the foreground, then the mountains , the clouds and "The great one"! What I don't like is the way you positioned the big mountain. I think I would have preferred to see it in the center, in order to keep the photo completely balanced and symmetric, as you did in some way with the rest of the photo. The last thing I would have preferred to see is having a wider view of the mountains on the third level. I would have liked to see a start and an end. But actually, I don't really know what's the situation in that case, maybe you couldn't obtain a similar result. Lovely Shot - Well Done! I agree with Luigi, a central position of the mountain would help. Also perhaps waiting until the light warms would have offered some alpine glow. Still a great shot though, well done for making the effort to get up there!